If you have compulsive spending tendencies, use this three step plan to avoid triggers to overspend but still take advantage of all those great holiday deals. The holiday season can require Herculean restraint if, like me, you happen to have shopaholic tendencies — dangle a great deal in front of me, and I will likely take advantage of it. But with the temptation of so many deals dangling before us during the holiday season, it's easier than ever to spend beyond our means. How’s a shopaholic to curb the irrepressible urge to overspend while still taking advantage of the good deals out there? For some (approximately 5-6 percent of the U.S. general population, according to one study), compulsive buying is a for-real addiction, with similar consequences that other addicts face, such as financial and relationship troubles. Those who have compulsive buying disorder, or CBD, are preoccupied with shopping, experience pre-purchase tension or anxiety, and feel a sense of relief following the purchase. What’s more, a study, published by the “American Journal of Drug and Alcohol Abuse,” shows that, like addiction, compulsive buying or spending often accompanies other mental health issues, such as anxiety, eating disorders and depression. “Compulsive buying is a chronic, repetitive purchasing that becomes a primary response to negative events and feelings, and may include symptoms equivalent to craving and withdrawal,” the study reads. Parents, the holidays can lead to emotion-driven spending. Don't fall for it. If you’re a legit compulsive buyer, you aren’t as motivated by getting stuff on sale as you are by the urge to get stuff. “Compulsive buyers don't usually check how they can save on items, nor do they enjoy their purchase,” explains Aviv Weinstein, Ph.D., an associate professor in the Department of Behavioral Sciences at Ariel University in Israel, and an author of numerous compulsive shopping and shopping addiction studies. “The thrill of buying changes after the purchase, and the motivation is often a relief of depression and anxiety, rather than pleasure.” April Lane Benson, Ph.D., psychologist and author of “To Buy or Not to Buy: Why We Over Shop and How to Stop” says. 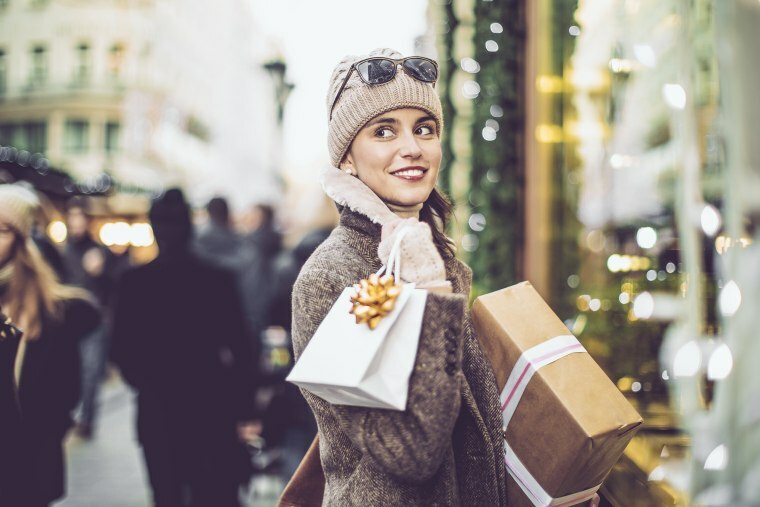 For shopaholics, triggers are easy to come by — and the holiday season just amplifies things, says Benson, especially given the 24/7 of our shopping possibilities and the tailored and targeted way that we see ads based on what we bought before. After all, Benson says compulsive shopping is often motivated by something called a “large self-discrepancy,” which she describes as, “the distance between who you are and how you’d like to be seen.” She says compulsive shoppers can also seek material things in order to fill a void, or feel better about themselves for a variety of reasons, including dealing with a loss — even to deny the finality of death. Put quite simply, if a retail environment tempts you more, stick to online shopping. If you can’t resist clicking, make your list and physically go to the store. Decide in advance how much you can comfortably afford to spend on gifts and on yourself, says Benson. Record it in your plan and refer to it as you shop. Try using what Benson calls “a delay mechanism,” which is a mental checklist devised to get you thinking about why you’re making each purchase. So, if the holidays transform you into an overspender, consider shopping with not one but two lists; one of what to buy and one of questions to ask yourself before buying. Here’s to ticking off all the boxes.